This is a gallery of images featuring Cheep Cheeps. A Big Bertha and Baby Cheep from Super Mario Bros. 3. A Spiny Cheep Cheep from Super Mario Bros. 3. A Blurp from Super Mario World. A Rip Van Fish from Super Mario World. A Porcupuffer from Super Mario World. A Fish Bone from Super Mario World. A Blurp from Super Mario Land 2: 6 Golden Coins. A Red Blurp from Yoshi's Story. A Spiny Cheep Cheep from New Super Mario Bros. 2. A Porcupuffer from New Super Mario Bros. 2. A Fish Bone from New Super Mario Bros. 2. A Deep Cheep from New Super Mario Bros. 2. A Cheep Chomp from New Super Mario Bros. 2. A Big Deep Cheep from New Super Mario Bros. 2. 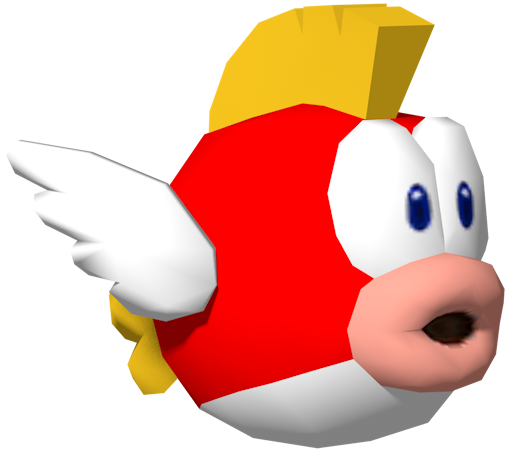 A Big Cheep Cheep from New Super Mario Bros. 2. A Porcupuffer from New Super Mario Bros. U. An Eep Cheep from New Super Mario Bros. U. A Spiny Cheep Cheep from New Super Mario Bros. U. A Fish Bone from New Super Mario Bros. U. A Deep Cheep from New Super Luigi U. A Deep Cheep from New Super Mario Bros.
Bessie Bass from Yoshi's Island DS. Cheepskipper from New Super Mario Bros.. Chef Shimi from Paper Mario: The Thousand-Year Door. Stewart from Paper Mario: The Thousand-Year Door. This page was last edited on April 23, 2019, at 01:38.